Owning a pool is a big responsibility. It takes more than just removing leaves and debris to keeping your pool clean and keeping maintenance to a minimum. Therefore, as a pool owner, it is important to know how to keep your pool in a great shape. It’s essential to have your pool equipment serviced so that it keeps your pool running all year round. Your pump and filter needs to be checked regularly and equipment like heat pumps, gas heaters, multiple speed pumps need to be serviced by a professional licensed pool technician at least once a year. Make sure you take note of any leaks and other abnormalities when you consult with your pool technician. Early detection and prevention are always better than fixing problems somewhere down the line. Skim and remove the debris and leaves from your pool and keep it clean. This should be done daily. Scrub the sides of your pool to prevent any algae buildup. This should be done at least once a week. If you have the budget, invest in a robotic pool cleaner, this will help clean the bottom of your pool and keep it looking clean. There are ways to maintain your water’s chlorine and pH levels. As such, remember to always keep your chlorine level in the correct range this will help keep prevent bacteria from building up and cause your pool to be murky. 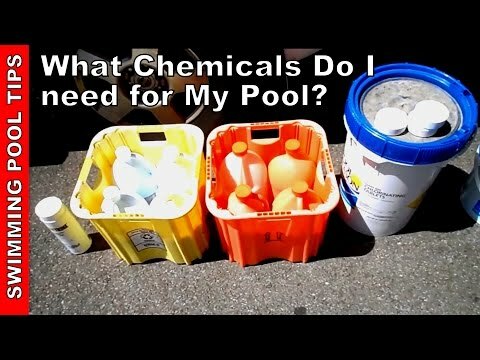 The pool chemical levels should be tested at least once a week. Your pool’s water level will fluctuate depending on the usage. Therefore, it is important to always check and see whether it should be added or decreased. Don’t forget to check the chemical levels whenever new water is added or removed. Maintaining a pool is not as hard as it seems. It’s best to get yourself into a schedule, a routine, and make sure you have the right cleaning and chemical testing equipment on hand.